Here at the CORE, instilling leadership in our students is integral to our curriculum; being a successful entrepreneur, no matter your preferred industry, always involves being a phenomenal leader. Being able to not only think of a clearcut vision, but to have the willpower to successfully carry it out and inspire others to also do so is a skill that cannot be overlooked. This blog will start our series on inspirational leadership traits exemplified by those in history. First up? Benjamin Franklin. While most recognize his face on the one hundred dollar bill and remember his famous inventions and experiments, many forget how great a leader Benjamin Franklin was. Not only was he a founding father of our country, he was also a noteworthy entrepreneur (he wrote, invented, and experimented) as well as being a diplomat. His active participation in the founding of America was key to its success. In Benjamin Franklin, one can see a myriad of notable qualities that all leaders should strive to possess. From a young age, Franklin always persevered. This is absolutely essential to being a leader, and thus being an entrepreneur, as you are in charge of your own career and success. No matter the industry, from politics to real estate, being a leader means beguinely harnessing the ability within yourself to take control of any situation and make a positive outcome out of it, either through your own actions, motivating others, or a combination of the two. 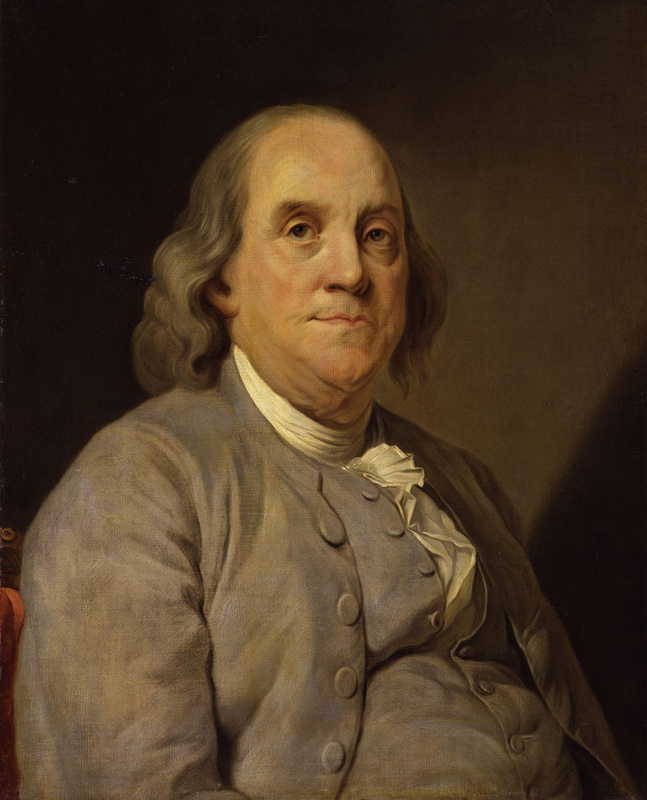 Born in the seventeenth century, a time when first sons were bestowed with the most attention and inheritance, Franklin was the tenth son of his family (out of seventeen children). Although he was given a year of grammar school and a year of tutoring, Franklin stopped receiving a formal education when he was 10. Despite the lack of formal support, Franklin continued with his education, teaching himself to become an effective writer by consistently studying The Spectator, a collection of essays. Franklin’s refusal capitulate continued into his adult life. When he was sent to France to procure France’s support for the American revolution, Franklin was not in the best shape. He had gout, a kidney stone, and had very little support from his companions (they did not have very good diplomacy skills). Despite the setbacks, Franklin worked hard to gain France’s backing, eventually succeeding and acquiring several loans. Because of Franklin’s perseverance, he was able to achieve many of his goals. Franklin was organized. He helped establish Philadelphia’s first lending library, the city’s first fire company, a city watch, and a militia in response to the threat of the French and Spanish. When he became postmaster for all of the colonies, he enacted improvements that streamlined the postal system. Franklin’s plans for uniting the colonies, although rejected, would later influence the first constitution of the United States. Franklin was an incredibly well­organized man. Franklin was innovative. He studied electricity, ocean currents, meteorology, refrigeration, and the common cold. Franklin then put his studies to use, inventing bifocals, swim fins, the Franklin stove (which heated homes more effectively), the glass armonica, and more. Franklin inventions were answers to everyday problems, such as the lightning rod, which was designed to prevent house fires caused by lightning strikes. One of the greatest inventors of his time, Franklin’s innovations still have influence on today. Franklin was an opportunist. When he went to France to garner the support of the French for the American Revolution, he used his fame to win them over. Because of his experiments with electricity (i.e. the infamous kite experiment), Franklin was already well known. During his visit, Franklin dressed down. Instead of wearing the finery and wigs for the French court, which was infamous for its decadence and high fashion, Franklin wore simple suits and did not wear a wig, playing the role of the stereotypical American in order to charm the court. His role playing worked, winning over the French. Franklin took advantage of French aristocracy’s sympathy for and fascination with America in order to acquire loans for the Revolution. Franklin knew how to work situations so that they would have favorable outcomes. Franklin was diplomatic. Not only was his trip to France an example of his capability to seize opportunities, but his ability to persuade the French to support the colonies’ cause is a perfect example of his capacity to negotiate. But Franklin’s career as a diplomat did not end there. When talks of peace began, the negotiations between France, Great Britain, and America were complex. France aimed to end the war between France and Great Britain while Great Britain and America were trying to settle their own disputes. France wanted a three­way treaty between the countries and some territory in North America. After months of negotiations, America went behind France’s back and created a direct treaty with Great Britain. France was greatly offended that they had been left out. Franklin used his diplomacy to smooth out any resentment, convincing the French that the American diplomats had done what was best for their country, not because they wanted to snub the French. Thanks to Franklin, relations with France were saved and the Paris Pact was signed. Franklin was also able to assuage some of the bitterness caused by the terms of the Constitution, many delegates being dissatisfied with how it had turned out. Franklin, in a powerful speech, managed to convince the delegates to sign the Constitution, persuading them to set aside their frustrations. Franklin’s deftness at diplomacy was a major influence on the course of the American Revolution. But, most importantly, Franklin was inspiring. He worked his way up from a printing apprentice to becoming one of the wealthiest men of the colonies. He was a prolific writer and a selfless inventor (none of his inventions were patented). He was one of the key contributors and leaders of the American Revolution. His diplomacy was essential to America’s victory. His international fame destroyed stereotypes of Americans, who had, up until then, been viewed as backwards and behind. Benjamin Franklin, entrepreneur, writer, founding father, inventor, and diplomat embodies many of the traits that all leaders should have.